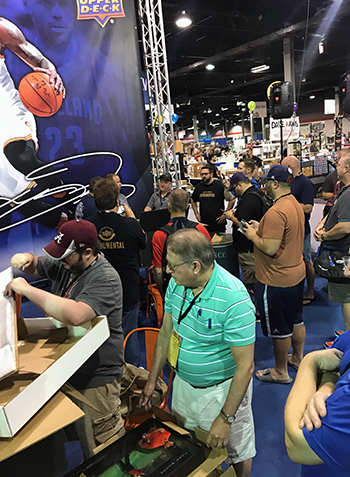 Don’t miss the 2018 National Sports Collectors Convention in Cleveland the first weekend of August as Upper Deck is planning to make it a memorable event for fans in attendance. 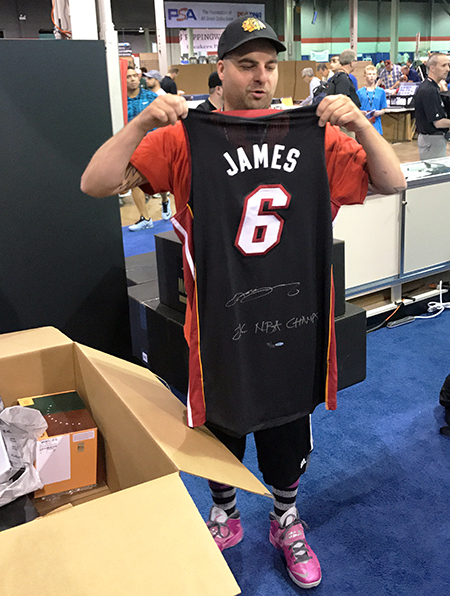 The National Sports Collectors Convention is the largest sports collectibles show in North America with hundreds of dealers set up, autograph pavilions running at full steam and collectors walking through the hall questioning if this is heaven. 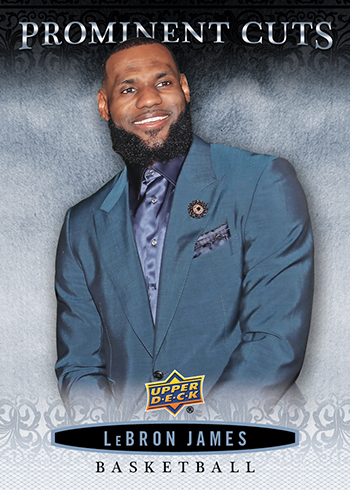 Upper Deck will be running a variety of engaging promotional for fans in attendance that will make the event entertaining for everyone. 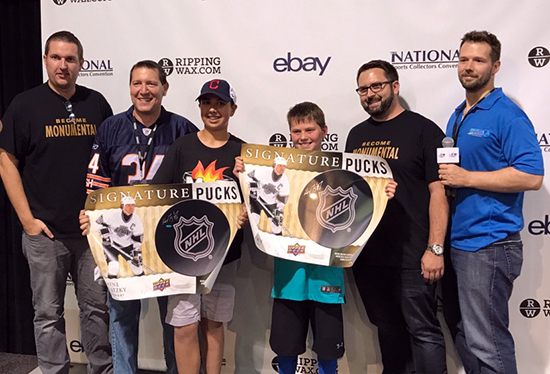 Check out details on what you can expect from Upper Deck during “The National” in Cleveland, Ohio at the I-X Center from August 1-5, 2018. 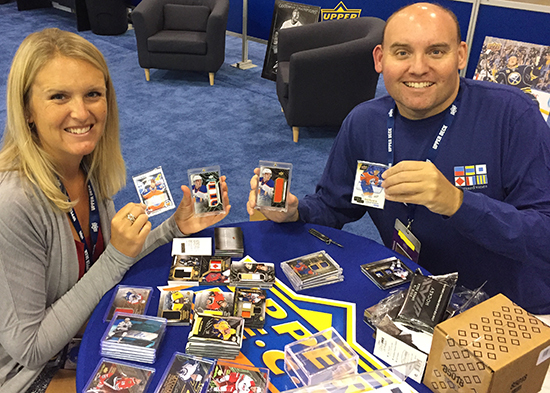 It’s fun to see fans opening packs, boxes and cases of new Upper Deck products during The National. 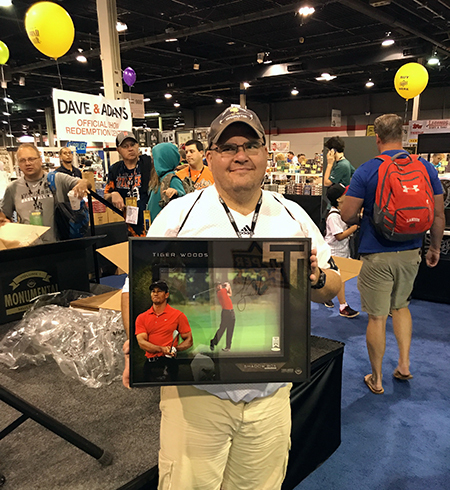 Fans enjoy opening Upper Deck products at the show to get the special items available through the company’s exclusive wrapper redemption packs produced just for this show. 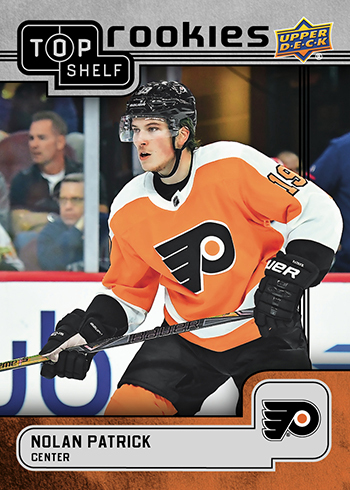 Fans can find both Prominent Cuts cards which feature a variety of personalities from various sports and NHL® Top Shelf Rookie cards of the prospects this season in Upper Deck National Black packs. 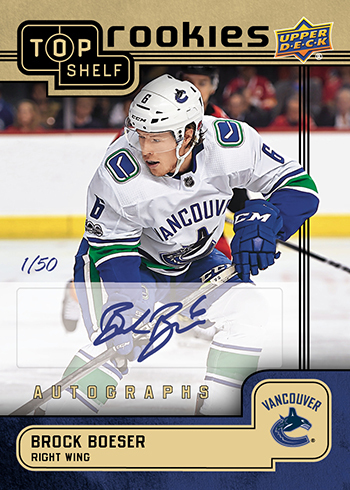 Randomly inserted into these packs are incredibly limited autograph cards! Fans can put the 20-card base set together just by cracking these packs. 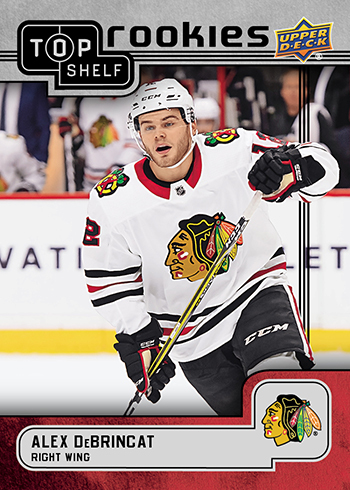 To receive three (3) 2018 Upper Deck National Black packs collectors just need to purchase one pack of 2017-18 NHL® Ultimate Collection or 2017-18 NHL® Premier. 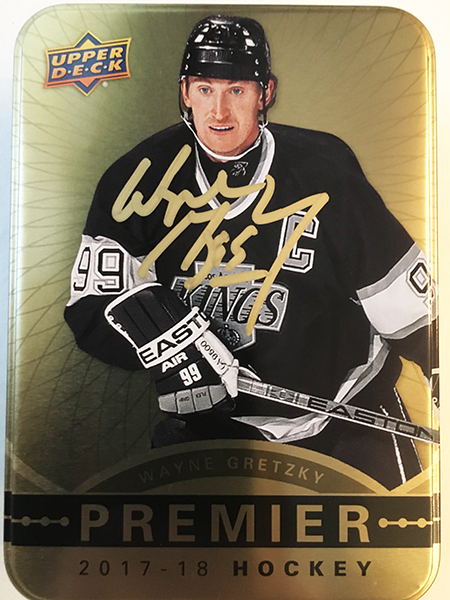 Collectors who break their tins of the new 2017-18 NHL® Premier product at the Upper Deck booth can also enter into a drawing to upgrade their unsigned tin for one of two signed tins by none other than Wayne Gretzky! Ask for details about this promotion at the Upper Deck booth! 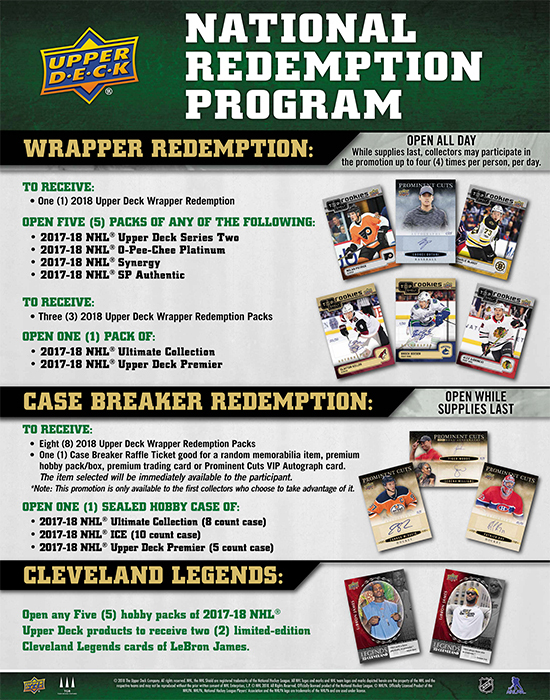 Collectors can enjoy taking advantage of the redemption programs in the Upper Deck Breaker Lounge! 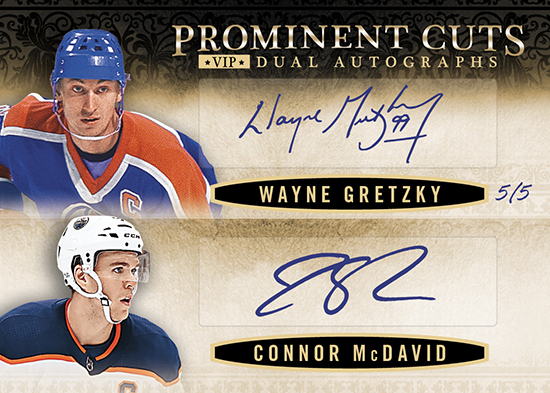 Sit in comfort and enjoy checking out other collector’s breaks together in the Upper Deck Breaker Lounge. 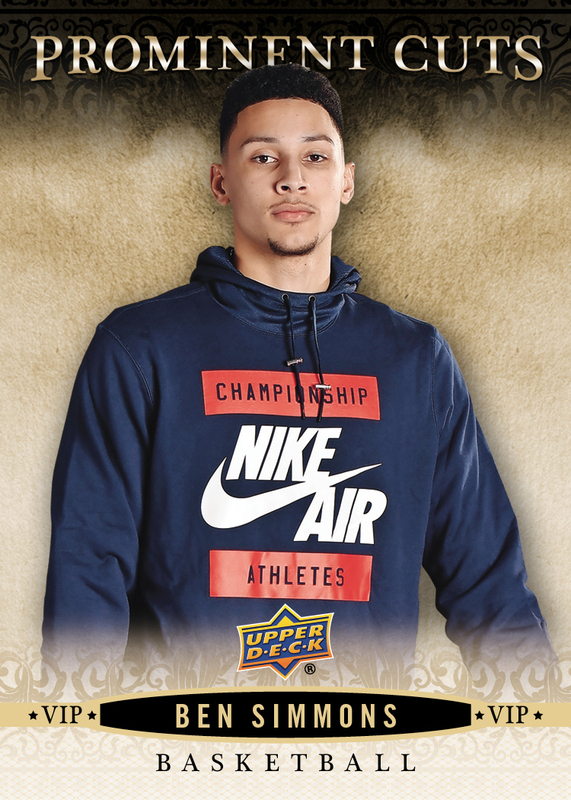 UDA Spokesperson Superstar Boxes – Will include one autograph item from Michael Jordan, LeBron James, Tiger Woods, Serena Williams and Ben Simmons. There will be five of these boxes available. UDA Hot Boxes – These will include autograph items from key UDA talent. 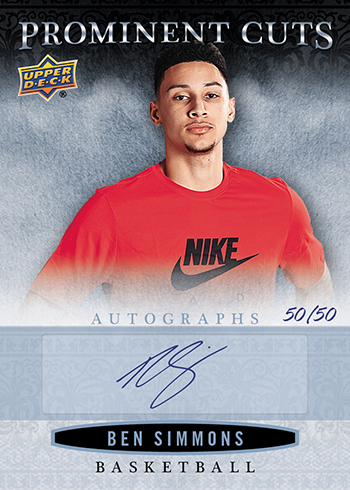 There will be five Ben Simmons hot boxes (featuring all Ben Simmons signed items), three Tiger Woods hot boxes (featuring all Tiger Woods signed items) and two Cleveland Cavaliers hot boxes (featuring all Cleveland Cavaliers signed items). Instant Redemptions – Some UDA items are just too large to fit in these Monumental boxes. 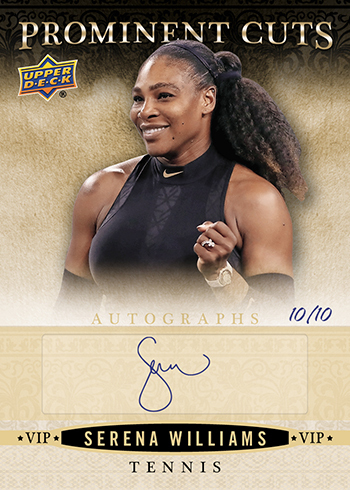 Fans may find Instant Redemption cards in their Monumental boxes good for a large signed UDA item that can be claimed immediately at the Upper Deck booth. Fans always get fired up to find these and they include product lines like “Breaking Through,” “The Show,” “Up Close & Personal” and more! 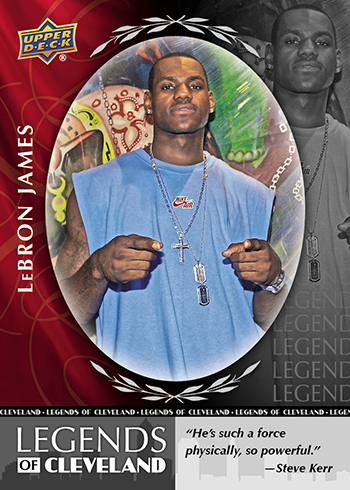 Collectors make haste to score their Upper Deck Authenticated Monumental boxes while there is still product available. 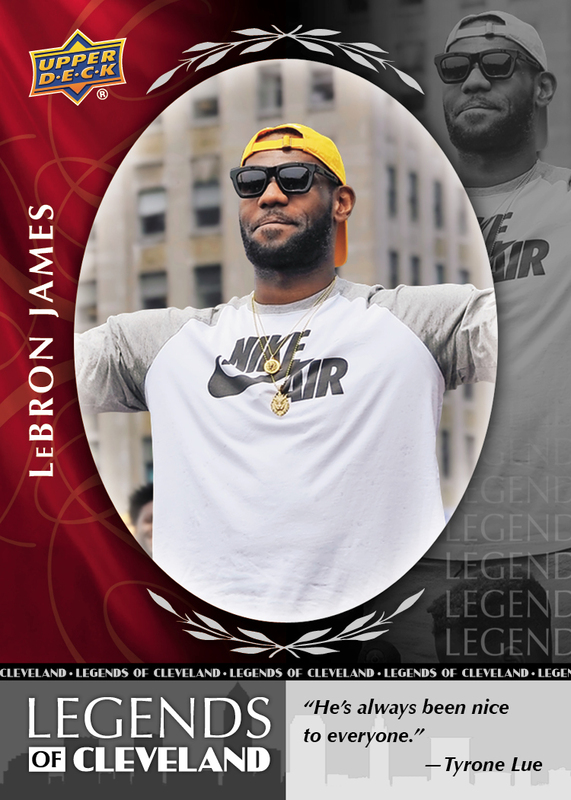 Loyal Upper Deck collectors who make qualified purchases from our Certified Diamond Dealers in attendance and through Upper Deck Authenticated at the show can earn a spot in our annual Diamond Club member and candidate party on Friday night at an undisclosed location in Cleveland. 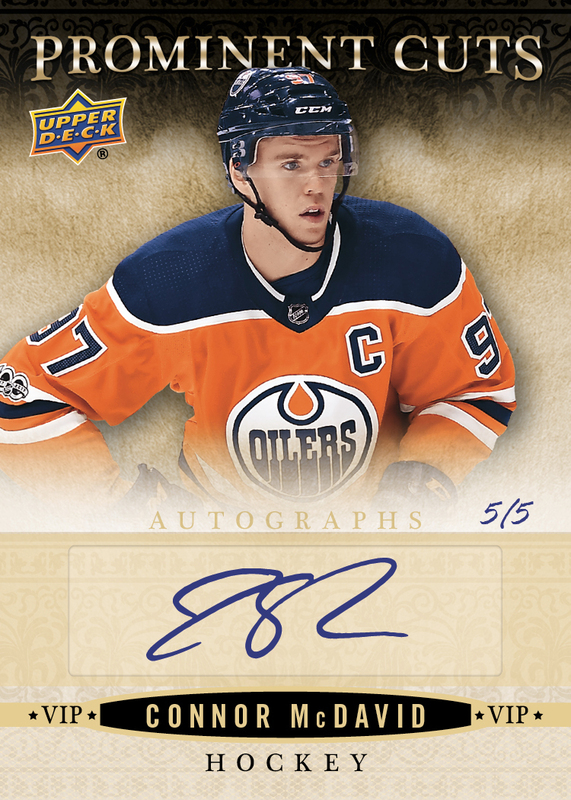 Party goers can score some amazing collectibles for their support of Upper Deck at the annual event. Several party goers will earn a spot in the Upper Deck Ultimate case break on Saturday. 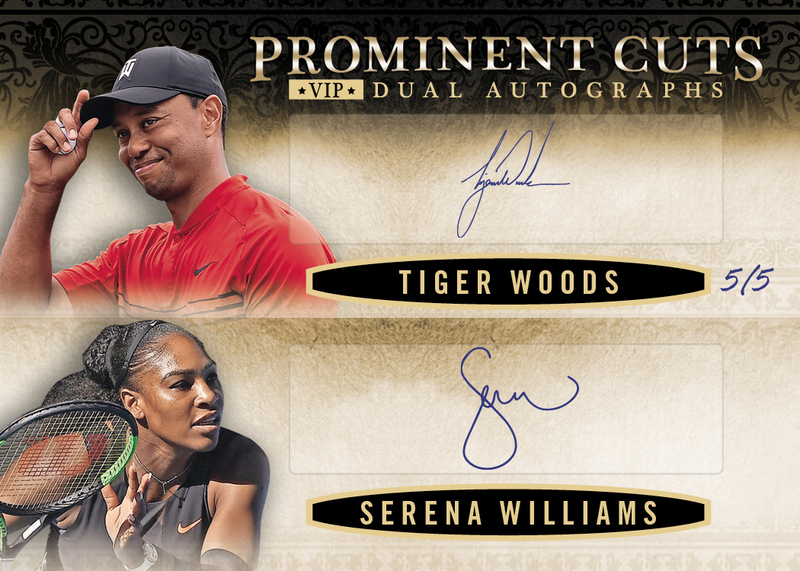 Those who purchase VIP passes to the 2018 National Sports Collectors Convention (available here) can score a special 5-card Gold VIP Prominent Cuts set from Upper Deck! 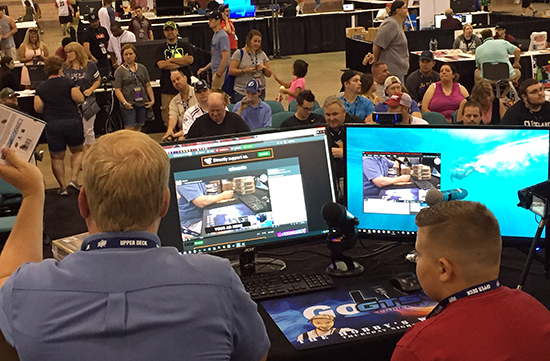 Make your way to the Mike Berkus Main Stage on Saturday from 2:00-3:00 p.m. where Upper Deck will host the Ultimate case break where fans can score slots in a break for one of Upper Deck’s most premium releases of the year. 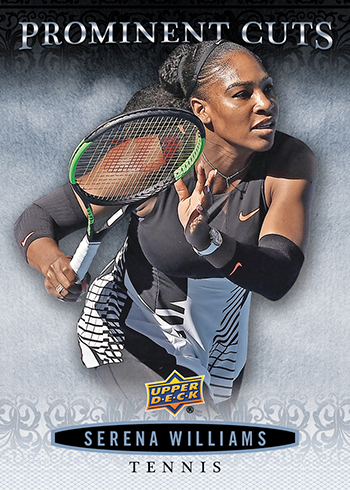 Then from 3:00-4:00 Upper Deck will co-host with GTS Distribution a collation game in a bracket-style format. 16 competitors will face-off to put sets together in numerical order as quickly as possible. There will be prizes distributed throughout the game, but the grand prize winner will score a signed Upper Deck Authenticated piece. These happy kids scored last year with the collation game. It will be fun to watch kids work to win cool UD items this year! Look for other fun surprises announced soon and at the show! 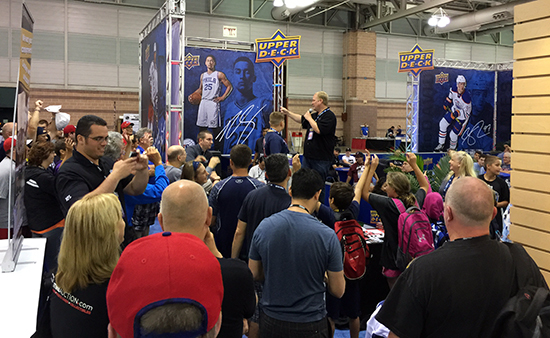 Make sure to use the #NSCC18 and #NSCC hashtags as well! 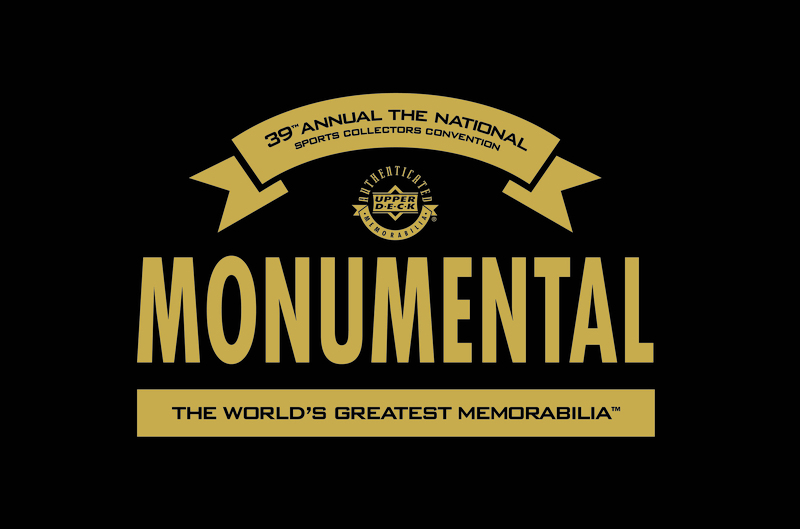 Tickets to the 2018 National Sports Collectors Convention are available now at www.nsccshow.com! Upper Deck will be sharing a variety of other exciting updates on more happenings at the National over the next few days!